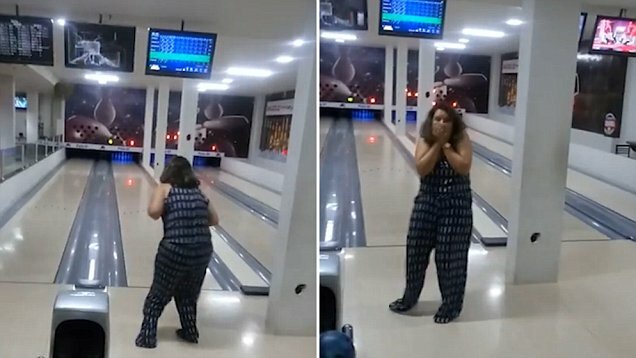 A Brazilian woman’s failed first attempt at bowling will have you laughing out loud and feeling better about your bowling skills in no time. Meet Dorinha, of Cacoal, Rondonia, Brazil, whose family took her out bowling for the first time. Off-screen, her companions are speaking in Portuguese, giving Dorinha tips about how to accurately bowl. “Throw it down the middle,” says a man. One of them repeatedly tells her to move a bit closer to the lane, but she doesn’t seem to hear them very well. Barefoot, and holding a ball that many speculate was too light for her, Dorinha proceeds to launch the ball, smashing one of the televisions. She turns around covering her mouth with a look of complete and utter surprise. The video was shared online by one of her family members, and it quickly went viral. Its comment section is full to the brim of viewers reacting in shock, laughing at her plight and sharing their bowling alley horror-stories. Many users speculate that although it was funny, she probably had to pay for the damages. Who knows? 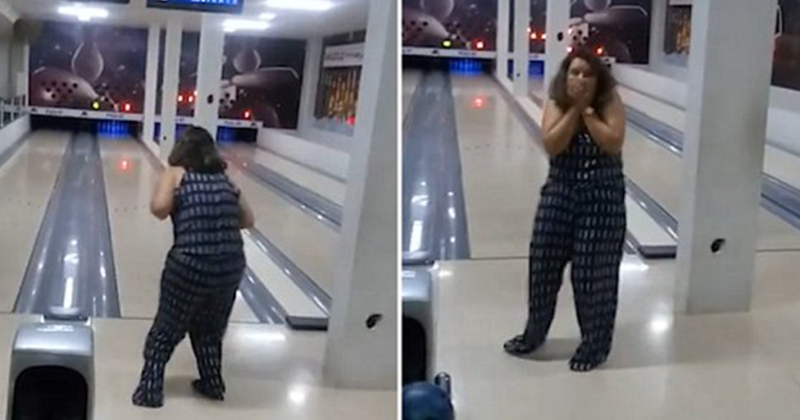 But one thing is for sure: if you see Dorinha at the bowling alley, you better watch out!